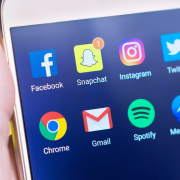 Fast forward to today… what has happened to us? As we have aged, other priorities, schoolwork, jobs, relationships, bill paying and the like have eaten up time. Stress levels have risen and free time has subsided. 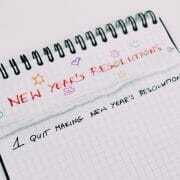 Exercise for a lot of people is now a chore and no longer always FUN. Our great Rebound Fitness workouts incorporate important exercises and movement patterns such as squats, lunges, twists, pushes and sprints between bursts of jogging and bouncing, all on a low impact surface. The “basic bounce” move is the foundation move to all our workouts. 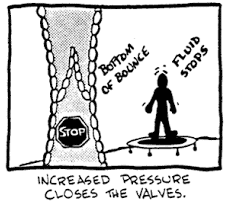 Read on to see how your balance is challenged and improved through working out on the unstable surface of the rebounder, how the proper exercise technique is so important to realising the health and fitness benefits, and the amazing positive effect that gravity has on the body when doing rebound exercise. By exercising on a well-sprung professional rebounder, with good technique (see our basic bounce for the correct rebound posture) and following a well-designed exercise programme you will kick start your metabolism, burn unwanted fat and improve cardio-vascular health. Just 30 minutes of rebounding a day could help you lose 1 stone in 3 weeks, burning more calories than you would by running for the same period – without all the strain on your joints! 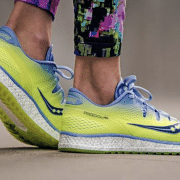 Consider when you are running on a treadmill and it asks you to enter your body weight to determine how many calories you have burnt during your run. If you were to enter a much heavier body weight than you actually are, it will show a significantly higher calorie burn. Rebounding achieves the higher calorie burn because as you bounce your body needs to work harder to push down into the mat then then jump up out of the mat. This continual bouncing movement creates G-Force that causes your exercising body weight to be heavier (up to 3.24 times than normal) which in turn causes your body to burn more calories more quickly and so aids very effective weight loss. 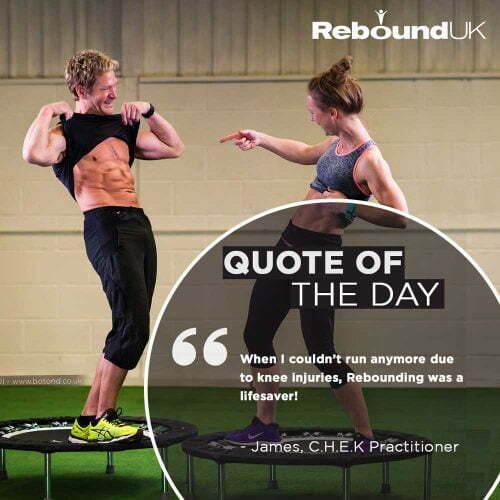 Read more about rebounding for weightloss “.. rebounding has the most incredible calorie burn.” Nadia Sawalha, Actress & Presenter. The lymphatic system makes up part of your immune system & plays a vital role in defending your body against harmful bacteria, viruses, parasites and toxins. Spread throughout your body, like blood vessels, the lymphatic system removes excess fluid and waste from your tissues and returns it to your bloodstream via the heart which are then excreted out of the body via the lungs, skin, kidneys and bowels. Periods of poor diet, relative inactivity and stress can put a strain on the lymphatic system and contribute to it becoming sluggish thus lowering the immune system. The best way to stimulate the lymphatic system, give it a boost, and get it working efficiently again is to exercise – Exercising on a high quality mini trampoline, in particular, is incredible for achieving this! The energising and bio-mechanical effects of Rebounding on your lymphatic system helps flush harmful toxins, bacteria and other waste from your body. By constantly opposing gravity and the up-and-down rhythmic gravitational force caused by jumping on a mini trampoline, the one-way valves of the lymphatic system are forced to open at the top of the jump and close at the bottom of each bounce creating an invigorating lymphatic flush. Marion has primary Lymphoedema and explains why Rebounding is essential in her daily routine. 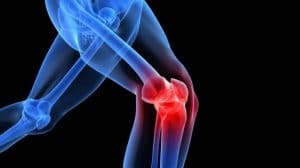 Traditional forms of exercise such as running, cycling and power walking place a lot of stress on the joints of the knees, hips, ankles and feet. Low impact exercise or fitness activities are those that do not require you to place one of your limbs in contact with a hard surface. Typical low impact activities are swimming, cycling, rebounding and trampolining. Rebounding is the “King” of low impact exercise – not only does rebounding reduce 87% of the shock of impact when using a high quality, well sprung rebounder, compared to working out on a hard surface, it is also a weight bearing activity and therefore strengthens bones, larger muscles and stimulates the smaller stabilising muscles in and around our joints improving muscle strength and tone, flexibility and overall joint health. This means that you can work out even harder and for longer periods with a much reduced risk of injury. 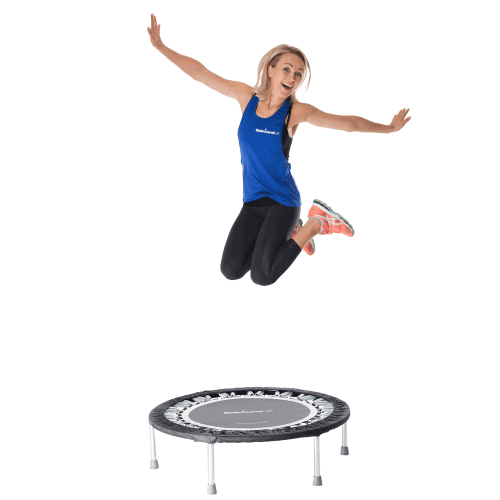 Rebound Fitness trampoline workouts utilise all the fundamental movement patterns needed to stimulate all of our limbs, joints and muscles in a very healthy and balanced way. 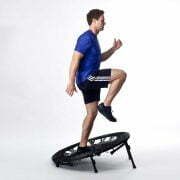 These functional movement patterns and exercises performed on the professional rebounder can consist of squats, lunges, twists, bends, pushes and gait patterns including postural exercise that force every muscle in the body to continually contract simultaneously and then relax. This results in our joints and muscles working and moving together a we do in everyday life and whilst playing sport, resulting in a more functional full body workout. This makes us becoming stronger, leaner and more flexible. Rebounding also strengthens the pelvic floor muscles and deep abdominal muscles (the muscles that help give us a flat tummy!). Increasing the muscle tone and volume will result in making our skin appear smoother, and younger. The human body has roughly 56 – 80 trillion cells. As you are bouncing on the rebounder every single cell is under additional stress because of gravity’s additional force on the body. At the top of the bounce, each cell is weightless and is “floating”. 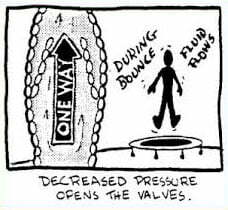 At the bottom of the bounce, each cell feels the increased pressure from the increase in G-force – there is a gentle “squeeze” on each cell. The cells have to adapt to being placed in this environment and therefore become stronger. Since the cells are the body’s living building blocks any positive change to the cells cascades up to the tissues, organs and systemic functions giving increased overall health and well-being. We have been conditioned and brain washed to train our core muscles lying on our backs doing variations of an abdominal crunch or curl exercise. This is in fact dysfunctional with limited benefits, targeting only external superficial muscles rather than important deeper core muscles. Probably the only time of day we need to do this type of sit up movement is when we get out of bed in the morning! A better and more functional way to train our core muscles is in the vertical position, which is how these muscles are used most of the time, to stabilise our spine so it can cope with normal “life activities”, improving our posture and keeping us upright. Exercising on an unstable surface, such as a low impact rebounder, provides a very healthy and constant balance challenge forcing the involuntary contraction (meaning we don’t have to think about it!) of the very important ‘deeper core muscles’ that surround and protect our joints and organs. Stimulating these important muscles in this way can protect us from injury, strengthen the spine, improve posture and are responsible for giving a flatter belly in appearance. As we get older, we lose bone mass and mineral content from our bones which means they become frail and porous leading to osteoporosis and other degenerative skeletal conditions. Osteoporosis affects over three million people in the UK and over 200 million worldwide. The cell in the body that is bone forming is known as “osteoblast”. Rebounding causes osteoblastic activity thereby stimulating bone growth and restoring bone density. So whether you are a complete beginner or elite athlete you can tailor your rebounding programme to suit your requirements. The Rebound Fitness team have produced a whole mixed genre of exciting mini trampoline workouts available in our Bounce & Burn membership for everyone to enjoy and benefit from. We have designed fantastic rebound workouts specifically for weight loss and burning 100s of calories, sports and fitness based workouts and holistic detoxifying rebounding sessions. We also have themed workouts that incorporate combat and martial arts moves, dance based workouts, children’s rebound and extreme bootcamp HIIT style sessions. Our sporting workouts include squats, lunges, twists, jumps, pushing patterns and sprints are performed between bursts of jogging and bouncing, all on the low impact surface of the rebounder. You can also complete HIIT rebound and sport specific workouts, performing explosive plyometric exercises combined with athletic strength and conditioning moves such as squat jumps and upper body exercises. For extra resistance use our specially designed weighted gloves or resistance bands that clip on to our rebounders securely.